She received her Bachelor of Science degree from Transylvania University, Lexington, Kentucky in May of 1981. She obtained her Doctor or Optometry degree from Southern College of Optometry of Memphis, Tennessee in May 1985. Dr. Stoker joined Louisiana Eye & Laser in November 2012 and is a resident of Natchitoches, Louisiana. 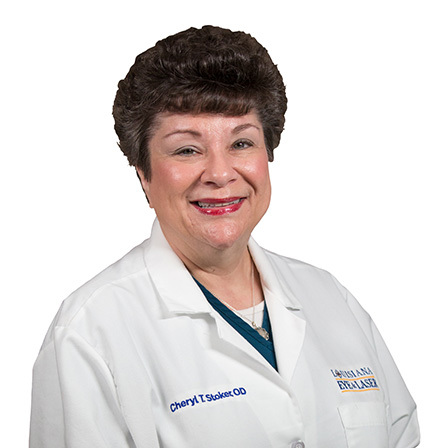 She provides eye examinations for all ages and fittings for contact lenses and glasses in our Natchitoches office. Dr. Stoker is certified by the National Board of Optometric Examiners and the Louisiana Board of Optometric Examiners. She is currently the active President of the Natchitoches Lions Club. Dr. Stoker is a member of the American Optometric Association and the Louisiana Optometric Association.